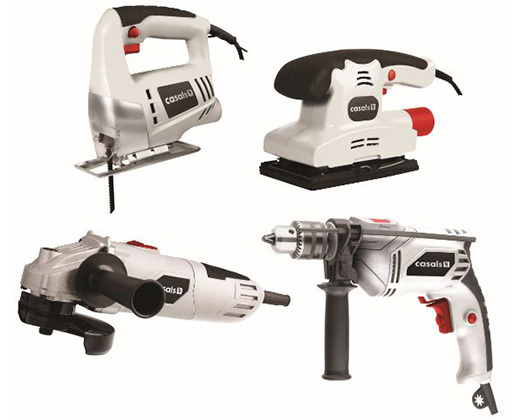 All DIY enthusiast will enjoy this DIY pack consisting of a powerful 500W 115mm Angle grinder, 500W Impact drill, 350W Jigsaw and a 150W Obital sander. Perfect for all your DIY jobs around the home. Auxiliary handle for left and right handed use. Punch plate for sand paper. Cuts up to a 45° cutting angle. Includes hex key and holder.